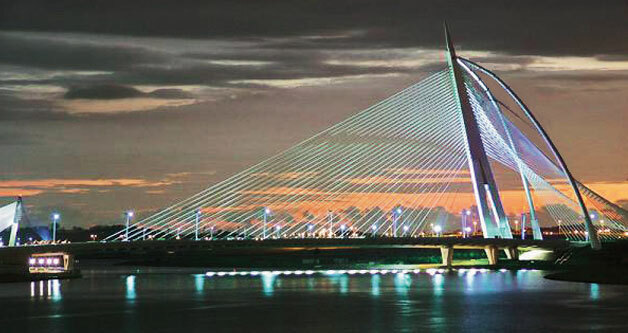 There are many interesting places in Malaysia you should visit while studying here. Pay a visit to these places and indulge in the beautiful sceneries of Malaysia. Strategically located a stone's throw away from The One Academy, Sunway Pyramid consists of the Sunway Lagoon Resort Hotel and the Sunway Lagoon Theme Park. The Sunway Pyramid offers a unique shopping adventure through its exquisite Egyptian concept interior, and houses various boutiques of international brands. It also has the 48-lane Pyramid Bowl, which is the official venue for the 1998 Commonwealth Games, apart from the Pyramid Ice, Malaysia’s first indoor ice-skating rink. Give your taste buds a treat as Sunway Pyramid houses exquisite eating outlets of local and international cuisines. 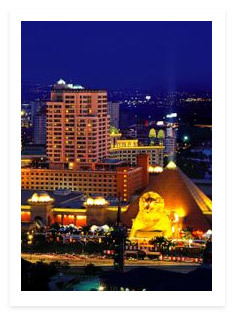 Click to learn more about Sunway Pyramid. The Petronas Twin Tower stands majestically in bustling Kuala Lumpur city centre. It is one of the tallest twin buildings in the world, standing at 451.9m and consisting of 88 stories each. Both towers are linked by the skybridge located on the 41st floor. 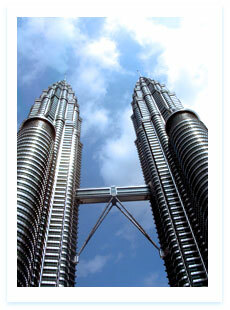 KLCC, the head-quarters for Petronas, short for Petroliam Nasional Bhd, is Malaysia's national petroleum corporation. Within the 6-storey tower locates an 864-seat concert hall, Dewan Filharmonik Petronas that hosts Malaysian and international artists, orchestras, jazz performances and musical presentations. Click to learn more about KLCC. 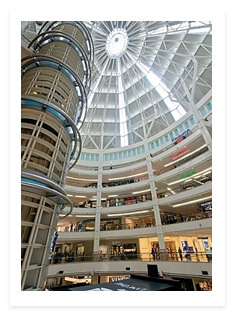 Located in the first 6-floors of KLCC, this huge mall welcomes at least 653,000 visitors each week. Below ground zero, you can hop onto the light rail transit, Rapid KL LRT to get to another shopping destination along its route. Besides housing a large variety of shops, from fashion to home accessories, sports, restaurants, café, bookstores, etc, it even has its own art gallery, Petronas Gallery and a science centre, Petrosains. You can spend a full day shopping or just window shopping in this huge mall, and later catch the latest blockbusters at theTGV cinemas. Click to learn more about Suria KLCC. The tower is currently the world's 4th tallest telecommunications tower, standing at 421m, and consisting of an observation platform, making it a vantage point to see the city in all its glory. 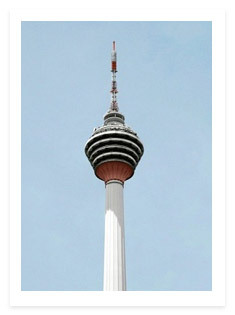 Click to learn more about KL Tower. A great place for discovery, entertainment and education. The museum exhibits an extensive range of historical interest from artefacts to dioramas, and allows one to explore in-depth Malaysia’s history and culture. 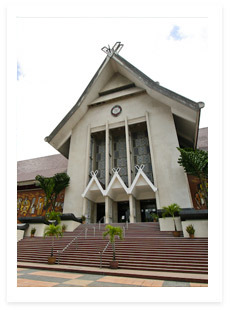 Click to learn more about National Museum. 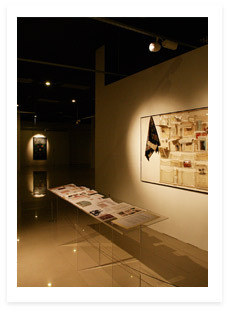 Established on 28 August 1958, it is one of the most established art museums in South East Asia. It houses a collection of more than 2500 pieces of artwork and regularly host art competitions, seminars and workshops for art practitioners and students, as well as numerous art-related events that appeal to the general public. Click to learn more about National Art Gallery.